In ~20 years, Google Search lost some cruft and gained speech recognition, but the fundamental design of the entry page is virtually identical. 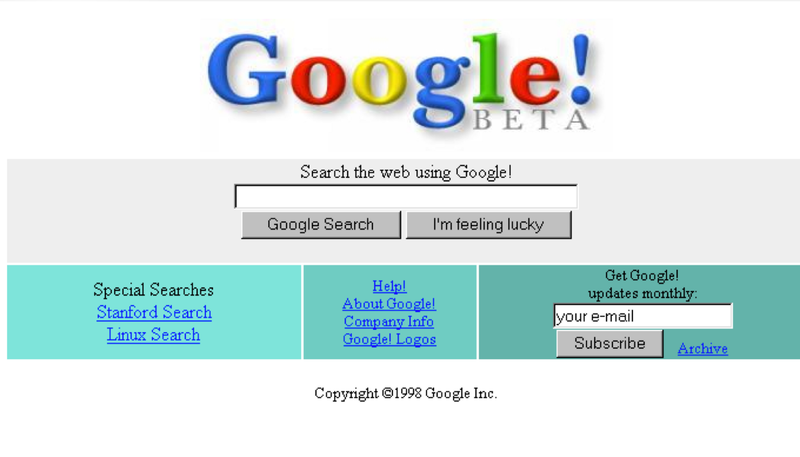 Over time there have been various vain efforts by third-parties to “redesign Google” by adding uncalled-for visual style. The only improvements to be made were subtractive (except the playful slant to the ‘e’, indicating the company continues to laugh all the way to the bank). This is a lesson that digital designers continue to cash checks by forgetting. Fast, easy, and useful beats all.